As device-centric as we are, our online journey has many stops throughout the day with our mobile phones, tablets, and laptop computers - and that’s just our personal devices. We have a similar omni-channel with our work phones, desktop and laptop computers. Cross-Device marketing is the act of marketing to users across every device with which they interact. 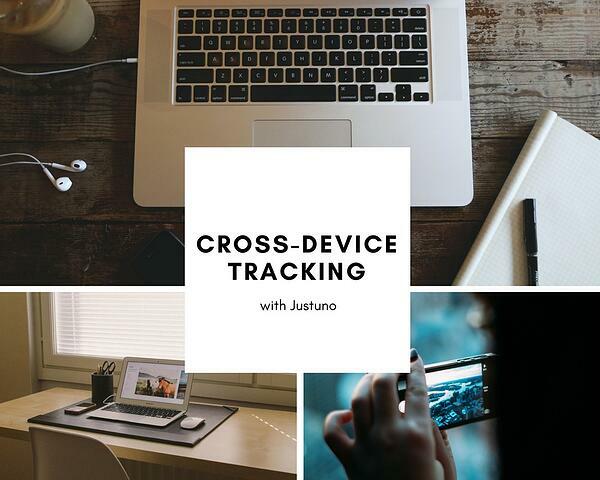 The way Justuno makes cross-device marketing possible is simple. Justuno recognizes users who log in with the same email address on multiple devices. We’re able to connect the two touch points using a hashed version of the email address as a shared key. A hashed email address means we don’t see the actual address, we just know when two are the same (Yay privacy!). Our method is deterministic unlike other common methods, which are probabilistic, meaning they use an algorithm to guess and analyze data points. Cross-device recognition is enabled by default in Justuno, but if you want to explore and use a custom method to link accounts, follow these instructions in this support article. You don’t want to spam your visitors with the same information over and over again. As a marketer, your goal is to avoid any bothersome promotions that make visitors feel like they are being stalked. Your customers aren’t robots, and they don’t like to be reminded they are being tracked. Keep it light and airy and make them feel special - like having a cupcake on your birthday. This visitor interacted with your mobile site, and thankfully signed up to your newsletter! They rushed around during lunch hour, and didn’t have time to really weigh out your website’s services or products. Later that evening, they visit your website on their personal laptop and spend more time sifting through your inventory. Thanks to your cross-device targeting rules, your promotion fired and thanked them for returning, offering them a deal they could not resist. This is just one of the many scenarios in which cross-device tracking is able to optimize your site experience and subsequently, your customers experience. You can set up a series of rulesets in Justuno to specifically fire (or not fire) promotions at a customer following their initial interaction with your site. When they return later via a new device depending upon their earlier actions, they will get served with the current promotion regarding where they are in their journey. Build your promotion rules to only show your desktop promotion if the user has seen or engaged with a specific mobile promotion. Keep a cohesive flow to your messaging and continue to encourage the user towards purchasing by keeping the promotion visible and present. This is often enough to successfully close the sale, but sometimes you have to take the process a little further. A/B Testing: A/B Testing your promotions can help you understand more about consumer behavior. For example, making small changes to the messaging, incentive, or design can have a big impact on the user completing the engagement. Justuno’s testing functionality allows you to run two different versions of one promotion to see which is appealing to your customers and results in them taking the desired action. Geo-Targeting: With geo-targeting, you can target users within a specific area. Geo-targeting is particularly useful for brick and mortar stores or for any business with a local presence. As an example, we’ll use a kayak store located in Austin, TX. Tired of renting a kayak every weekend, visitors are checking on sales and weighing their purchase options. While the store’s website is bringing in traffic from all over the world, typically purchasers are located in town. To incentivize the most relevant potential customers, you can use geo-targeting rules to show incentives to any customer who has visited the website on both mobile and desktop (signifying they’re a serious prospect) within the Austin area. Post-Purchase Follow-up: Just because someone has completed a sale doesn’t mean you are done. Sometimes the best way to keep customers from churning is focusing on post-purchase engagement. You can target customers post-purchase through your Email Service Provider (ESP, i.e. Mailchimp, Klaviyo); Customer Support (i.e. Zendesk, Chatbots); and Reward program engagements (i.e. Smile.io). 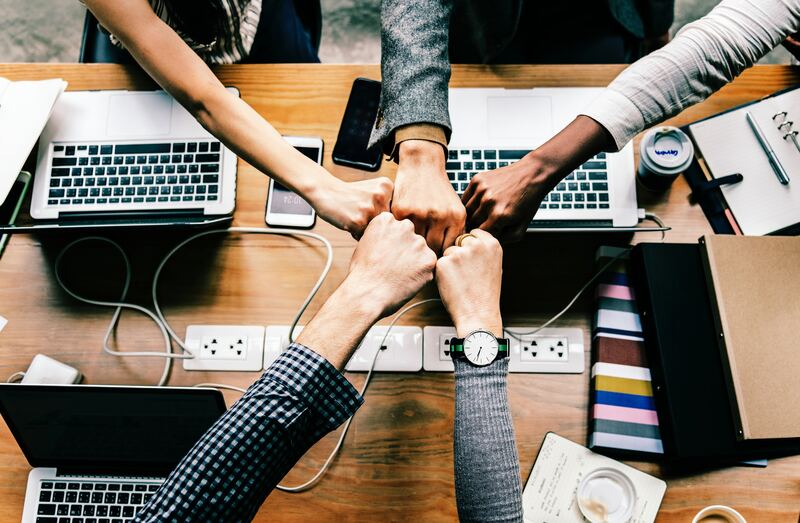 These post-purchase touchpoints can aid in efficient conversion when they all work in unison to deliver channel and strategic messaging at the right moment later on down the road. These are just a few examples of how utilizing Justuno to be the cross-channel profile targeting machine you need will help you answer the question of why your visitors act the way that they do. Once you understand the WHY, Justuno and our 95+ integrations helps you launch a cross-device marketing campaign that help you deliver value to your customers wherever they might be on their journey.